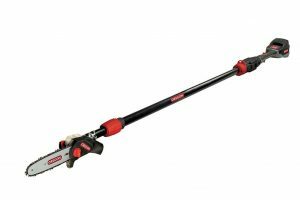 Are you on a lookout for a good electric chainsaw in the market? But, are thoroughly confused with the endless options that are available? 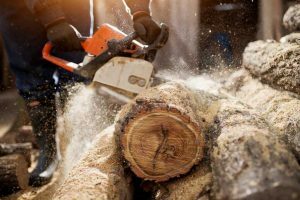 If your answer is yes to both those questions, then you are lucky today as we are going to be making it a little easier for you to choose a great and powerful chainsaw. In this article, we are going to be reviewing the DeWalt DCCS620B 20V Max Compact Cordless Chainsaw. There’s with absolute certainty we can say that you have either heard of DeWalt earlier or have an appliance by DeWalt. This brand is a well-known American brand, famous all over the world that has been around for the last nine decades. They are extremely known for all of their power tools as well as hand tools. They take pride in their fast-growing system. As of now, the company claims that they have over a 100 different kind of products available in the market right now. So, you can be assured that the DeWalt chainsaw is at par with the rest of the high-quality products they produce. Before we even begin reviewing this chainsaw for you, we’d like to mention that DeWalt DCCS620B 20V Max Compact Cordless Chainsaw is a bare tool. This means that this product comes to you with no battery nor a charger. These can be purchased separately. To speak about the physical appearance of this product, if you are familiar with all of DeWalt’s products, you will be completely aware of their color scheme. This sturdy, strong yet compact design features a black and yellow colored exterior. This product’s dimensions are 25 x 9 x 9 inches. If you prefer a lightweight chainsaw over one that is much heavier, then you will most certainly like this DeWalt Chainsaw. Weighing at only 7.6 lbs. without a battery and at about 8.8 lbs. with a DeWalt DCB205 5.0 Amp battery, this makes this chainsaw one of the lightest chainsaws out there. Due to its lightweight, it is really easy to use this device and even easier to maneuver it. It is also possible to use this product with just one hand. 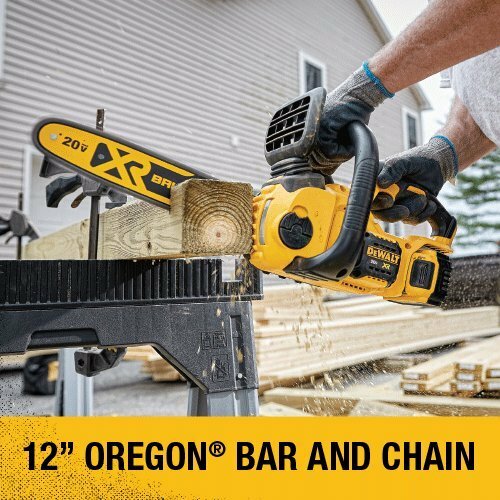 The DeWalt chainsaw comes equipped with a low kickback 12 inch Oregon bar and chain. This is perfect if you are looking for basic construction work or some outdoor branch cutting. This Oregon bar and chain is also capable of automatically oiling itself. To protect the blade, DeWalt has offered a guide bar scabbard. An interesting feature that the DeWalt chainsaw has is the chain tensioning system. The tension of the chain on this chainsaw can be changed without any tools. So, you don’t need to carry around small tools around with you in order to change the tension on this. In addition, this comes with a bar tightening knob which makes sure that there is proper bar clamping force. 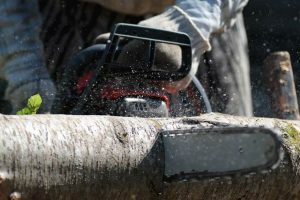 One of the best features of this chainsaw is that it features a high-efficiency brushless motor. Brushless motors are known to last longer, and they are also very efficient. This motor makes the chainsaw work faster, better and even last longer. It not only extends the motors life but maximizes the runtime. Starting this product could not be any simpler. All you will need to do is pull the trigger, and that is it. That’s all it takes to start this product. And again, with the pull of the trigger, you can stop the use of this chainsaw. As this product is a bare tool, you will have to purchase the battery separately. This may be off-putting to some. However, this also gives you the freedom to choose the power of the battery as you would like. This DeWalt chainsaw does not limit itself to only a 20-volt battery. 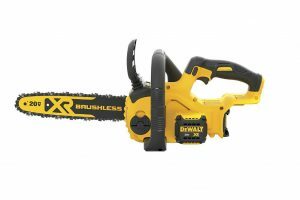 You are also able to use a 60 flexvolt battery to power this chainsaw. You also don’t need to be worried about the maintenance of this chainsaw or worry whether you will be spending loads of money on it. This chainsaw has low maintenance thanks to no carburetors, no spark plugs as well as no air filters. 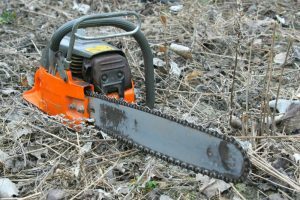 Since there lack of these things in your product you can be certain that you are not going to be riding up a hefty bill on this chainsaw’s maintenance. 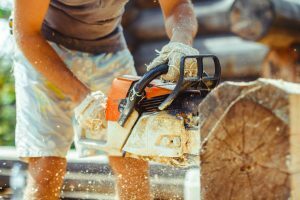 There are massive perks to buying a product from a well-known brand, and this applies to DeWalt chainsaw as well. DeWalt offers its customers who buy this chainsaw with a limited three-year warranty. To add to that, they also offer you one year of free service, and the cherry on the cake is that this company offers you a 90-day money back guarantee if you are not fully satisfied with this product. And if you live in America, this will be even perfect for you because there are over 70 service centers across the country to help you at any point in time. 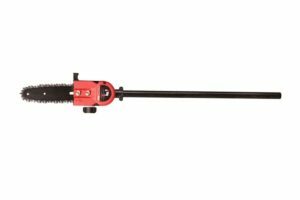 If you only want a chainsaw that is lightweight, then you will certainly love this chainsaw. Even after inserting a battery this weighs just about 8.8 lbs. 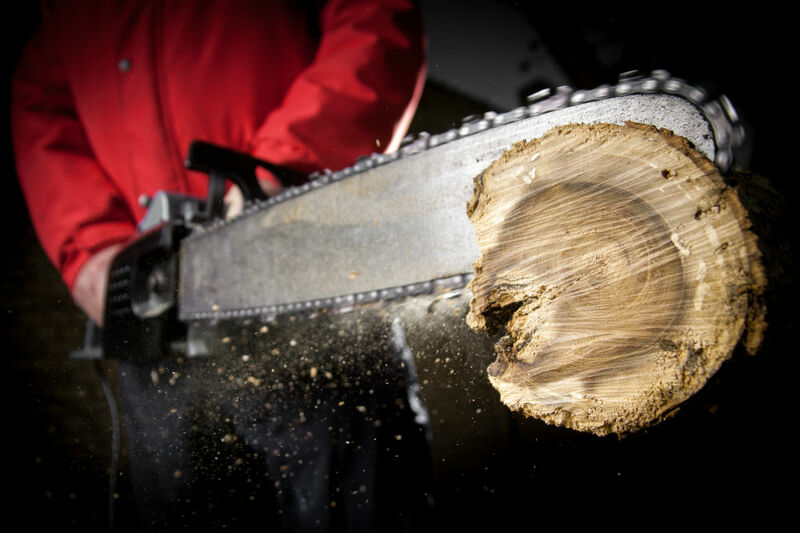 making it one of the lightest chainsaws. DeWalt’s fantastic warranty and money back guarantee beat several in the same category. 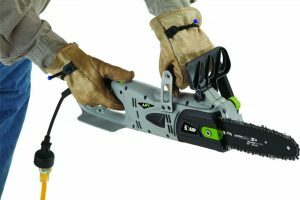 This chainsaw’s capability of working with a 20V battery as well as a 60V battery make this chainsaw very versatile. 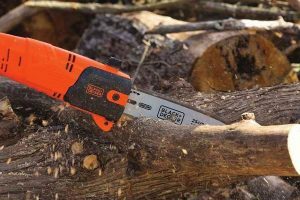 The brushless motor ensures that this chainsaw does not only work efficiently but also makes the motor last longer for you. It goes without saying that the biggest con about this chainsaw is that you will have to buy the battery and the charger, all separately. This chainsaw does not come with oil. That will have to be purchased separately too. In summary, the DeWalt DCCS620B Cordless Chainsaw is a bare tool which is lightweight and comes with a with a low kickback 12 inch Oregon bar and chain and an automatic chain tensioning. There you have it. An in-depth review of the DeWalt DCCS620B 20V Max Compact Cordless Chainsaw. We do hope this answers all of your question’s you have with regards to this chainsaw. Sure, the fact that this is a bare tool may be off-putting for some of you. However, it is important to remember that this gives you the freedom to choose the power of the battery as you would like. We assure you that buying this chainsaw will leave you with no regrets.